What's DrumLine Battle all about? Drum Corps International's brand new DrumLine Battle allows marching percussion lines of all ages to engage in exciting competition within a confined "battleground" environment, both live and virtually online. "DrumLine Battle is a new opportunity for drum lines around the world to compete," DCI Director of Sales and Business Development John DeNovi said. "It's really not a new way—It's been around for awhile, and you've probably seen it in the movie "Drumline" … What we're doing is taking this concept and unifying the world through this simple idea of DrumLine Battle." Hear all about DrumLine Battle in addition to Drum Corps International's other new performance initiative SoundSport, in this video clip from the 2013 "DCI Tour Premiere" which aired in movie theaters nationwide on Monday. 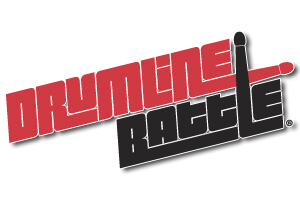 Virtual DrumLine Battles are underway! Visit DrumLineBattle.com to take part in the very first international online battle between the drum lines of DCI Open Class corps Genesis and Madah Bahana University of Indonesia. Watch the performance clips of each group and take into account the technicality, stunts, unique moves, one-upsmanship, showmanship, attitude, and of course, great drumming of each group ... make a quick decision and cast your vote for who you think is the winner! Check out the virtual DrumLine Battle between Genesis and Madah Bahana.